Scale: 1:48. A contemporary full hull model of a 40-gun frigate (circa 1800), a single-decked fifth-rate, built in bread and butter construction. Model is decked and partially equipped including a capstan, deck gratings and belfry. 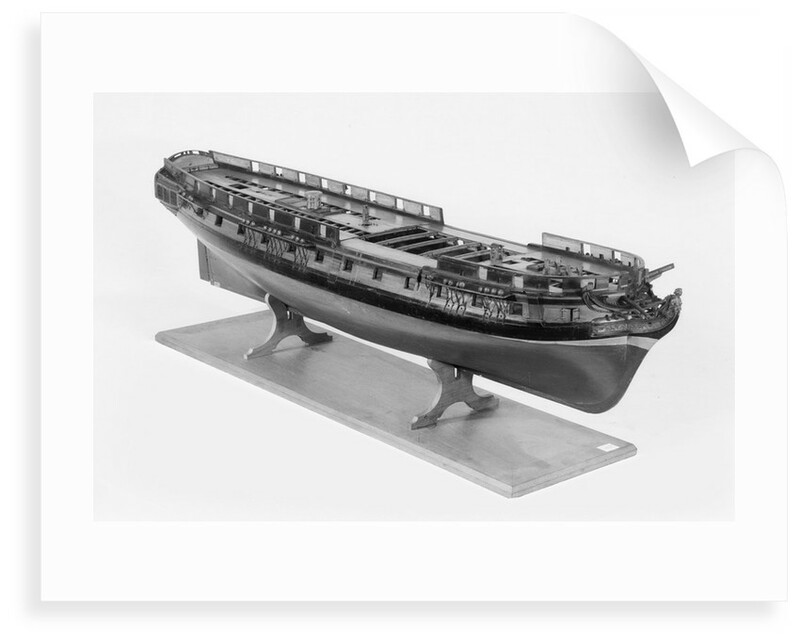 At this scale, the model depicts a ship measuring 160 feet along the gun deck by 42 feet in the beam and a tonnage of 1239 burden. The armament consisted of twenty-six 24-pounder guns on the upper deck with eighteen 32-pounder carronades on both the quarter and forecastle decks. 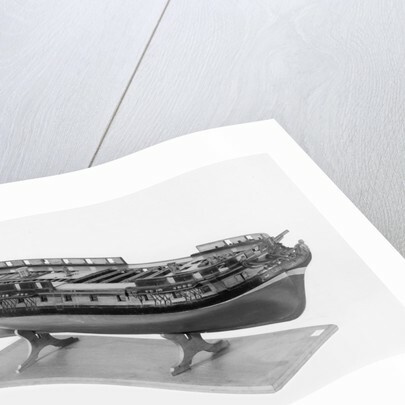 The model depicts the modified type of square bulwark introduced shortly before 1800 together with the almost totally enclosed waist area between the forecastle and quarterdecks. 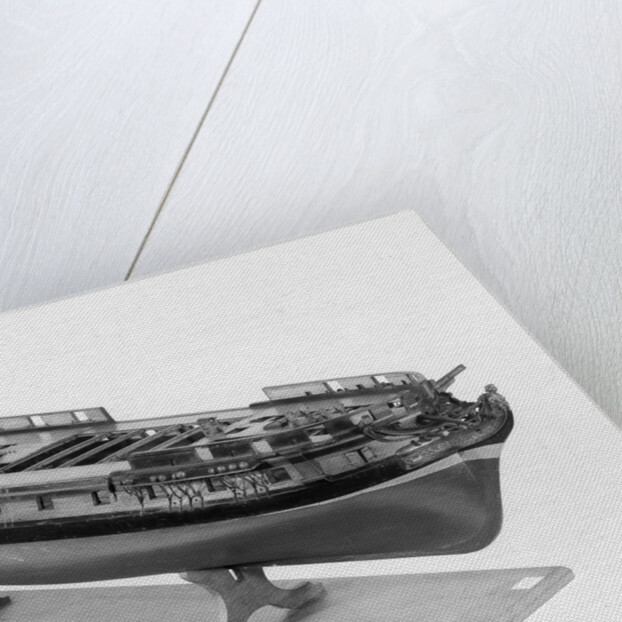 Although the name 'Pomona' is on the stern, no ship of that name was built with the dimensions represented by this model. 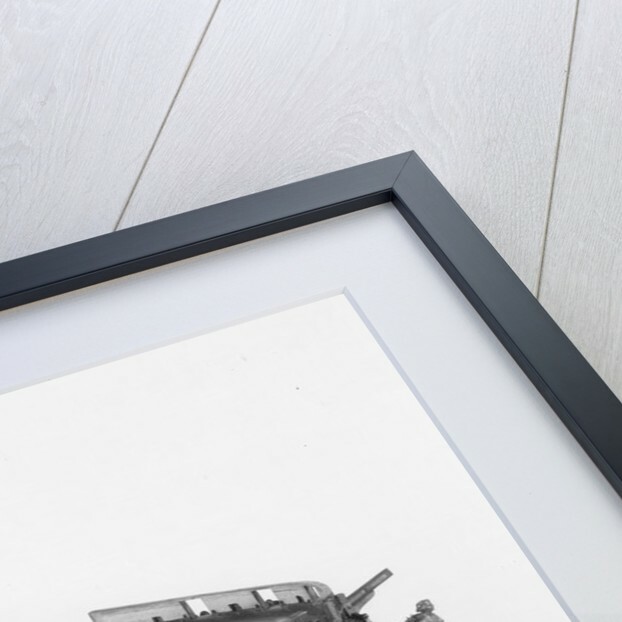 However, the dimensions are close to the `Pomone', a French ship captured in 1794 and it is quite probable that this may be a design based upon the lines of this French prize.